Rachel has over 15 years of experience in marketing with expertise in social media marketing, content marketing, and influencer marketing. Her digital strategy has achieved global recognition working with a broad range of clients spanning enterprise to startup. 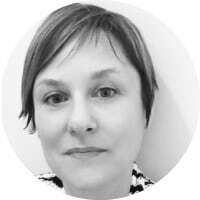 Rachel is an avid learner which is essential in the fast moving social space and is an adviser to many popular social business applications where she provides feature evaluations to support product innovation. My career has been wonderfully diverse. I started in graphic design, transitioned to content marketing and then social media marketing and now influencer marketing which allows me to combine all my prior experience and skills. I’ve been focused on influencer marketing for the past 6 years working at brands and agencies. I believe influencer marketing to be one of the most effective marketing strategies available to businesses of all sizes and budgets. Nothing is more powerful than seeing someone that looks like you, has the same pain points, interests and goals as you, share how a product or service made their life better. I am very excited about mobile marketing and how content marketing is evolving to embrace voice search and AI technologies. I consume and create a lot of content on my mobile phone and it is even becoming my number one purchasing device. Its inspiring to see what individuals and brands are currently doing with mobile and where technology and endless creativity will take us in the future. I am a huge advocate for the micro influencer movement. I believe in the importance of leveraging tools and technologies such as AI to find individuals who are genuinely causing people to take action – not just the big names on every “Top XYZ” list. I think it’s important to see what people are doing in different segments of digital marketing – not just specific expertise but also target demographics. Continuously identifying new thought leaders in your areas of interest is the best way to stay informed and best serve clients and peers. OUTSIDE OF DIGITAL MARKETING WHO ELSE INFLUENCES YOU ? I love comedy and am big fans of female comedians such as Amy Schumer, Tina Fey and Chelsea Handler who are hilarious, inspirational and use their influence for social good. I follow a lot of cooking, fitness and music profiles on Instagram. Their use of Instagram Stories and Instagram Photo Albums for storytelling is a great source of inspiration I can directly apply to my marketing strategies. WHICH BRANDS OR PRODUCTS STAND OUT FOR YOU IN DIGITAL MARKETING? I love podcasts and listen to a variety for education and entertainment. I am generally open to all forms of collaboration as long as there is mutual synergy. I enjoy helping others tell their stories. I love interviewing and asking questions to highlight the smarts, successes, and personality of those not used to telling their stories in a public setting. I’m a big believer of engaging and supporting influencers before making an ask. Any brands that do that will happily get my attention.